An international team of astronomers has discovered the furthest object ever detected in the Solar System. Nicknamed “Farout”, it’s a small round object with a pinkish hue located 17.95 billion kilometers (11.15 billion miles) from the Sun. The color is common in ice-rich objects. Its official designation is 2018 VG18 and it is 500 kilometers (310 miles) in diameter. It's the first object discovered further than 100 astronomical units (AU) from our star, with 1 AU being the Earth-Sun distance. Farout is at a distance of 120 AU, significantly further out than dwarf planet Eris, which is at 96 AU. Pluto, by comparison, is at 34 AU. The object was discovered in images taken with the Japanese Subaru Telescope atop Mauna Kea in Hawaii on November 10. Follow-up observations to confirm the distance were conducted in December from Las Campanas Observatory in Chile. 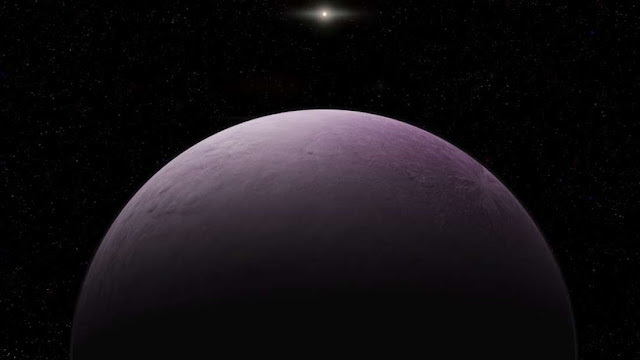 Farout adds to the intriguing family of peculiar objects so far discovered beyond the orbit of Pluto. The orbits of these trans-Neptunian objects (TNOs) seem to be influenced by the gravity of a massive planet so researchers have put forward the idea that Planet 9 exists over 200 AU from the Sun. So far the search hasn’t uncovered definitive proof, but TNOs are helping astronomers understand what’s going on at the edge of the Solar System. While we are only just starting to understand the further rims of the Solar System, discoveries like this show that there are still many worlds out there left to find. 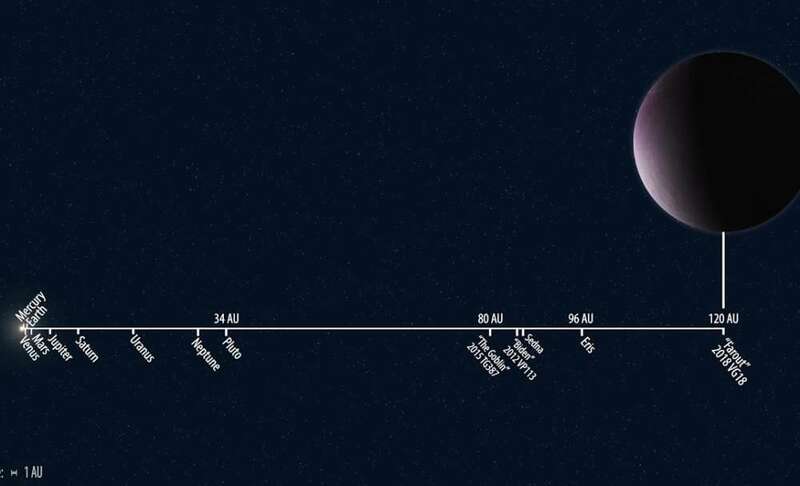 Solar System distances to scale showing the newly discovered 2018 VG18 compared to other Solar System objects. Roberto Molar Candanosa/Scott S. Sheppard/Carnegie Institution for Science.